Home Media Media Would you undergo a hair transplant with your partner? Maria Fowler and Kelvin Batey really took couple goals to the next level. 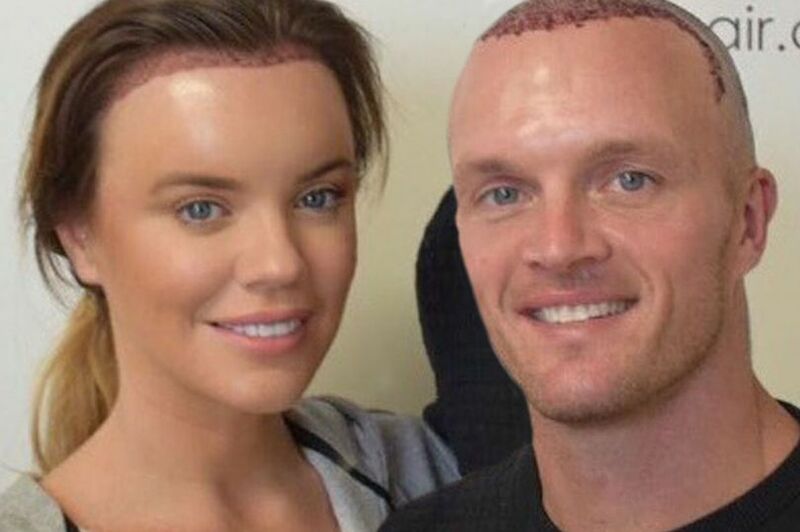 As far as activities couples do together, getting his and her hair transplants probably isn’t that big on the list of ideas. But, after British reality TV star Maria Fowler and motocross fiancé Kelvin Batey posted a snap on Instagram, #couplesthattransplant might be the next big thing. The pair enjoyed a week trip to Glasgow, Scotland for the regrowth procedure. The star shared the early results on her Instagram account, as she proudly posed beside her Kelvin sporting new and improved hairlines. Dr Tony Prochazka MBBS FFMACCS from The Crown Clinic has been performing hair transplants for close to 20 years but says the surgery has been around for around 70 years. “What has really changed is the quality of the restoration and the advancement in technology”. The number of patients undergoing hair restoration are increasing exponentially each year. More patients are considering undergoing a hair transplant as the social norms have been broken down. This can be attributed to the large amount of celebrities who have undergone the surgery and talked about it so publicly. Another reason is the ease of surgery. Although the basic principle of each transplant is the same, FUE is more popular because, unlike FUT, it leaves no linear scarring and delivers more natural-looking results. It also requires no stitches so is less painful, with a faster recovery time. Patients can leave the clinic immediately after the transplant. Would you undergo a hair transplant with your significant half? Would you undergo a hair transplant with your significant other? The Crown Clinic has been specialising in all areas of hair loss and hair restoration since 1999. In that time, we have established ourselves as one of the leading hair loss clinics in Sydney and Campbelltown. Are you worried about your hair loss? Come in for a consultation today.